This new product is the brainchild of Eric Askue of Tentacles under the bed these high detail artistic reliefs are the beginning of a series of items we will be releasing over the 2017. 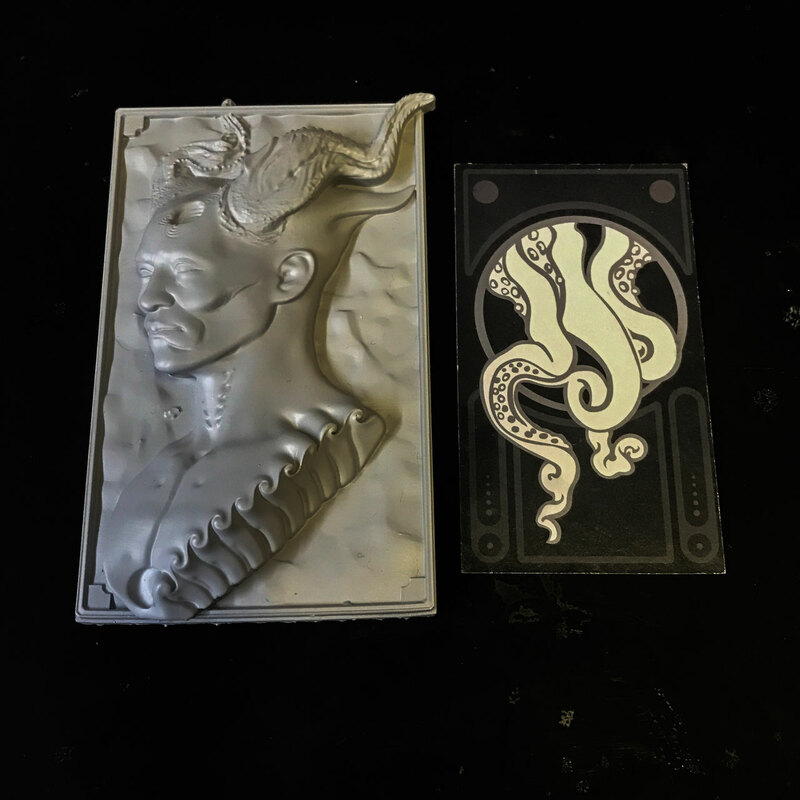 They are available individually or in a set. 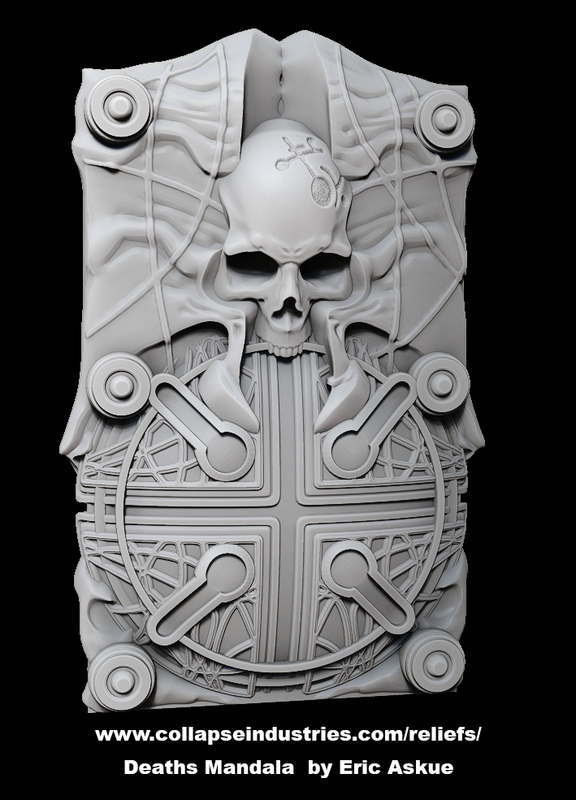 They will be cast in grey resin if you have a special request contact us and we will try to work with you. 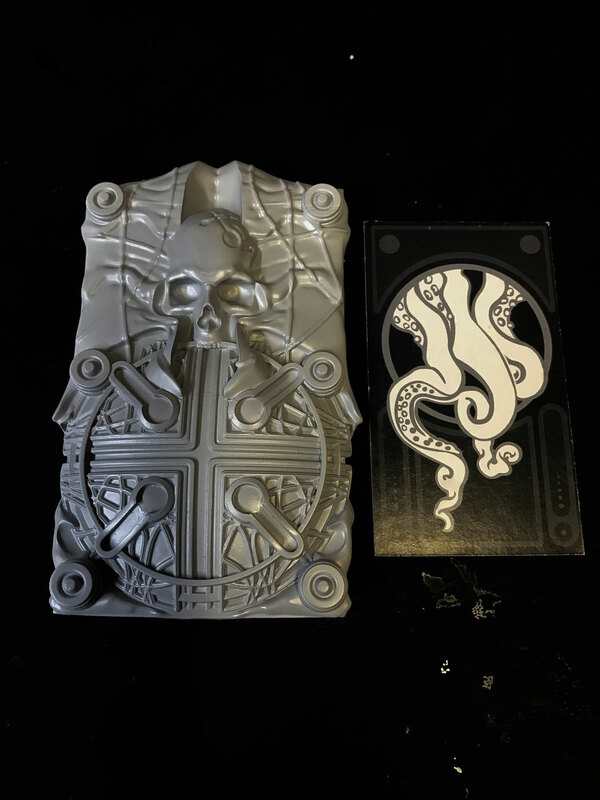 These are available now and are shipping cast on demand. 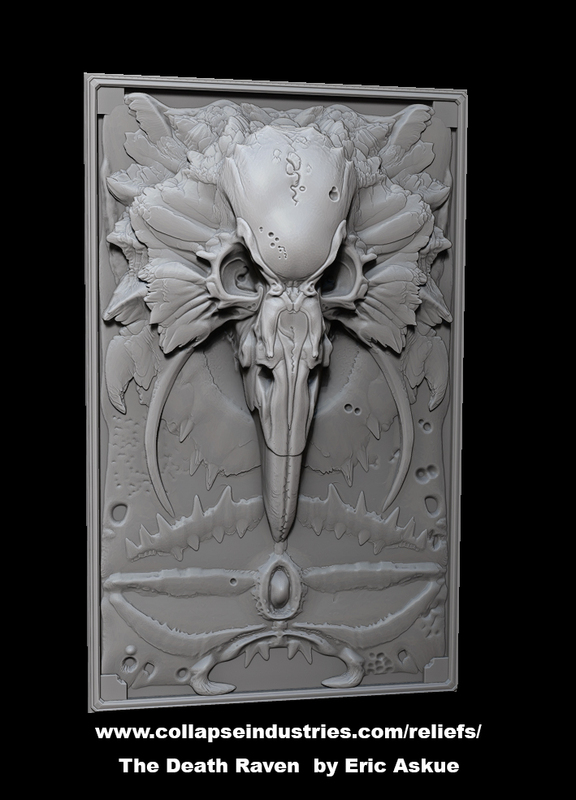 Here is an unboxing video of the reliefs so you can see them in turn around. 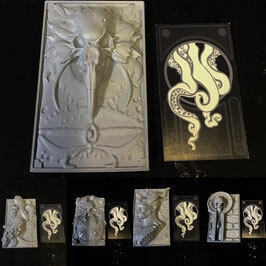 This is the set of all 5 reliefs. 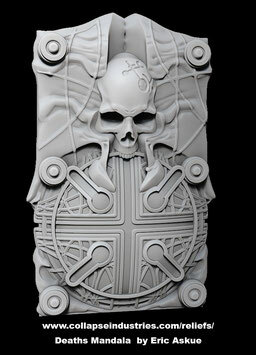 Cast in grey resin and unpainted. 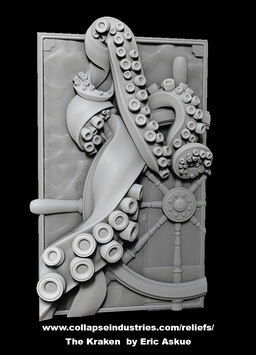 Sculpted by Eric Askue. The size is approximately 5 1/4 in by 3 1/2 in. These can be used in multiple ways to create decorative pieces. This set includes The Death Raven, The Kraken, Scrollwork Demon, Deaths Mandala, and Skeleton Key. 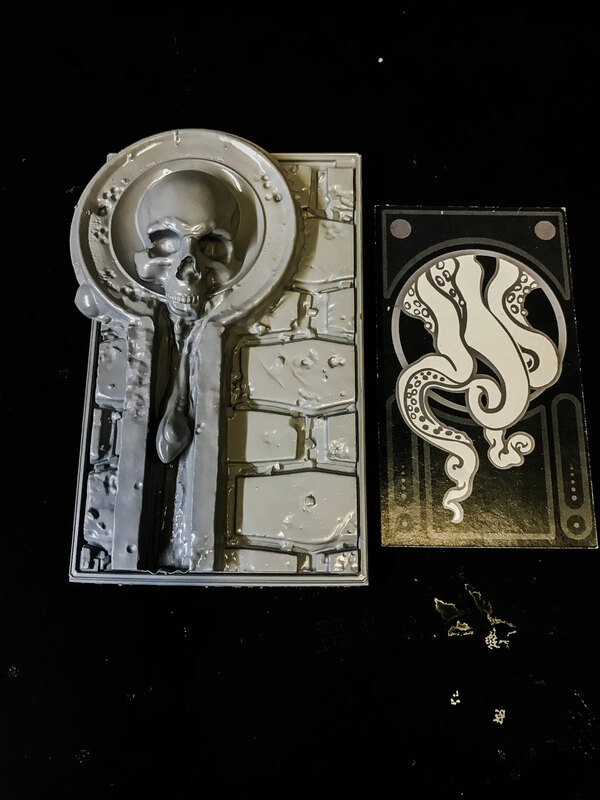 Printed masters and casting may slightly differ from 3d renders. 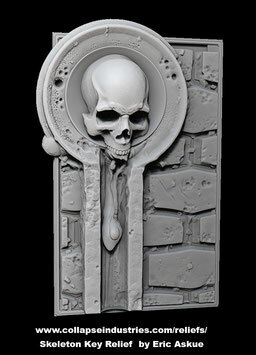 Cast in grey resin and unpainted. Sculpted by Eric Askue. The size is approximately 5 1/4 in by 3 1/2 in. These can be used in multiple ways to create decorative pieces. 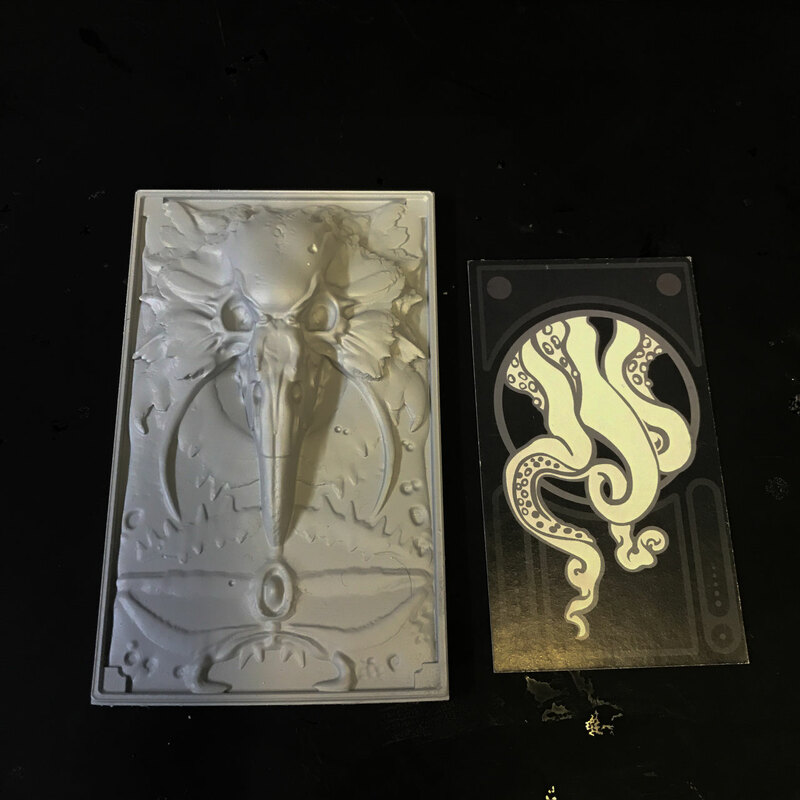 A business card is used for size reference. Printed masters and casting may slightly differ from 3d renders so please look at the images of the castings. 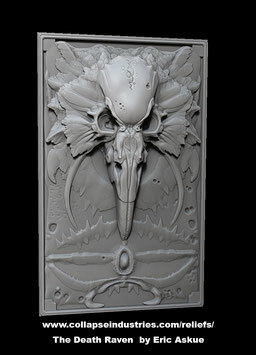 Cast in grey resin and unpainted. 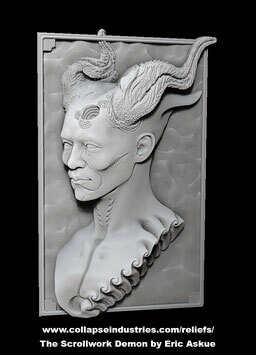 Sculpted by Eric Askue. The size is approximately 5 1/4 in by 3 1/2 in. These can be used in multiple ways to create decorative pieces. A business card is used as a size reference. 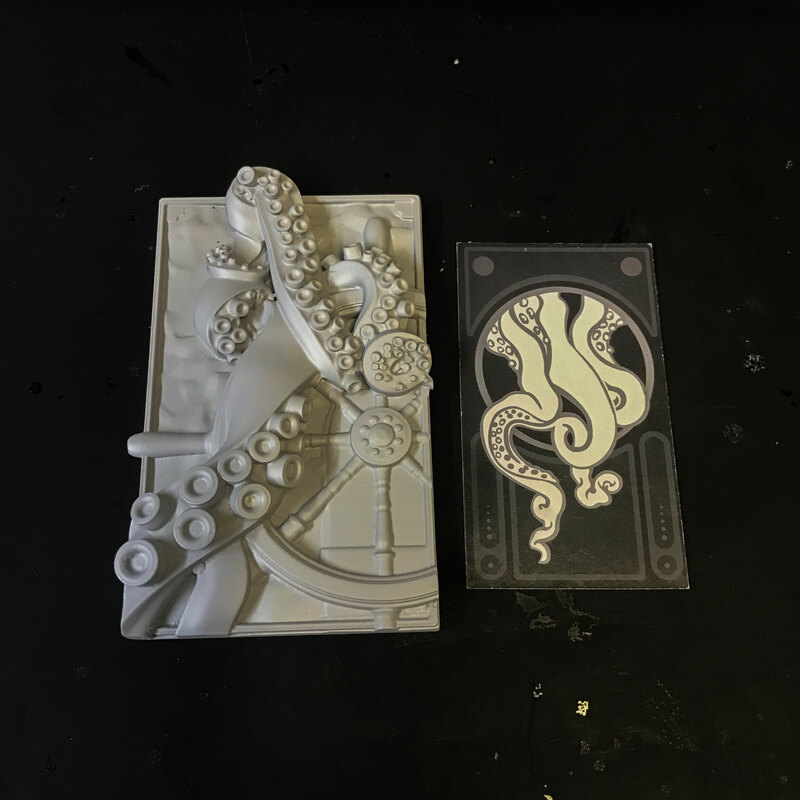 Printed masters and casting may slightly differ from 3d renders so please look at the images of the castings.